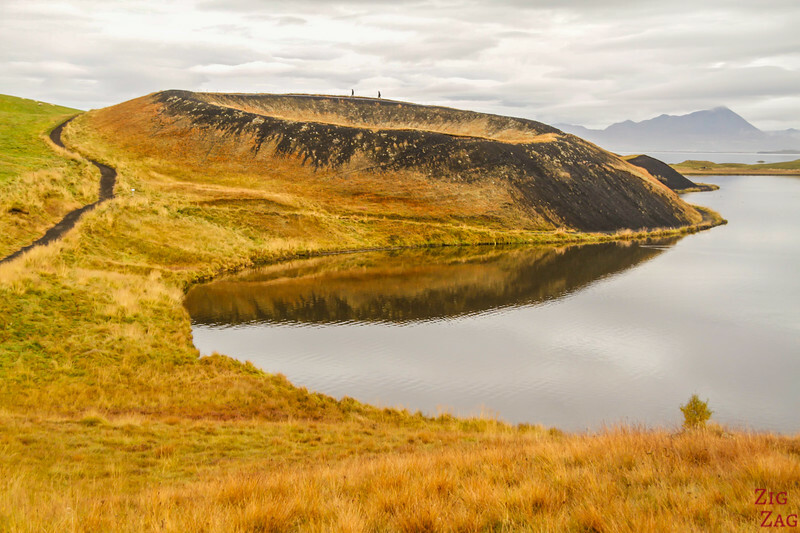 5 top things to do Myvatn Iceland - Out-of-this-world landscapes!!!! 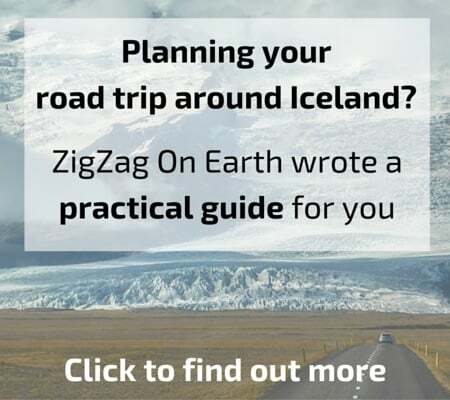 5 top things to do Myvatn Iceland – Out-of-this-world landscapes!!!! Let me show you the top things to do in Lake Myvatn, which happens to be my favorite region in Iceland. Sure it does not have the fjords or icebergs of South Iceland, but I loved the atmosphere of post-apocalypse and the connection with Earth. There are many activities that can be done, and this selection is based on my own taste and other will disagree, but here it goes. The area around Myvatn was my favorite in Iceland. I love all the geological features and the impression to be on another planet or to be a survivor in a post-apocalyptic world. Below you will find my 5 favorite places to see around the lake and in the nearby area. 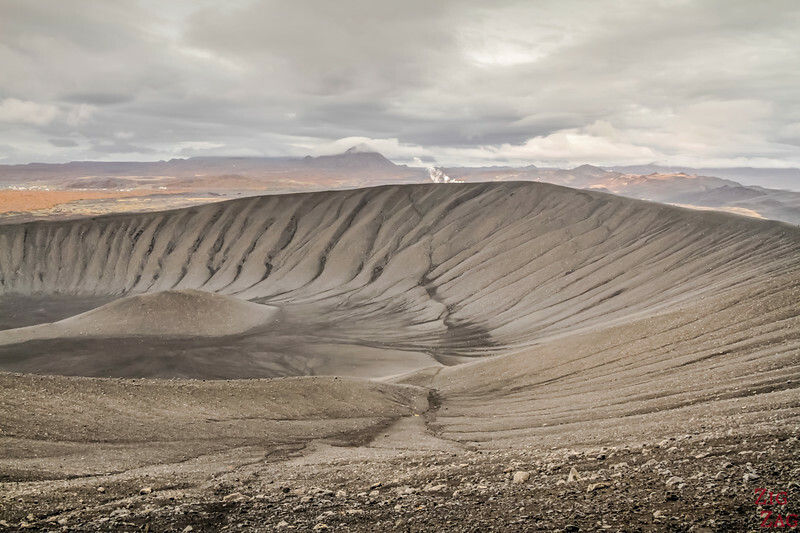 Easily spotted around Lake Myvatn, Hverfjall is a circular explosion crater about 140 metres deep and 1km in diameter which makes it one of the largest of its kind in the world. It is completely bare and can be climbed and circled. ​This one of the bigger preserved craters I have ever seen. It makes you realise the power of volcanic eruptions. Plus the views of the area are quite nice. 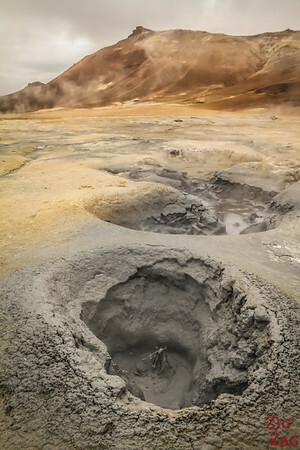 Hverir is a geothermal area with at the foothill of Namafjall which features mud springs, steam vents, cracked mud and fumaroles. Some people who visisted yellowstone or Wai-o-tapu are disapointed by Hverir. Personnally I really enjoyed the sharped contrast with the mountains and the atmosphere of being on another planet due to the bare surrounding landscape. 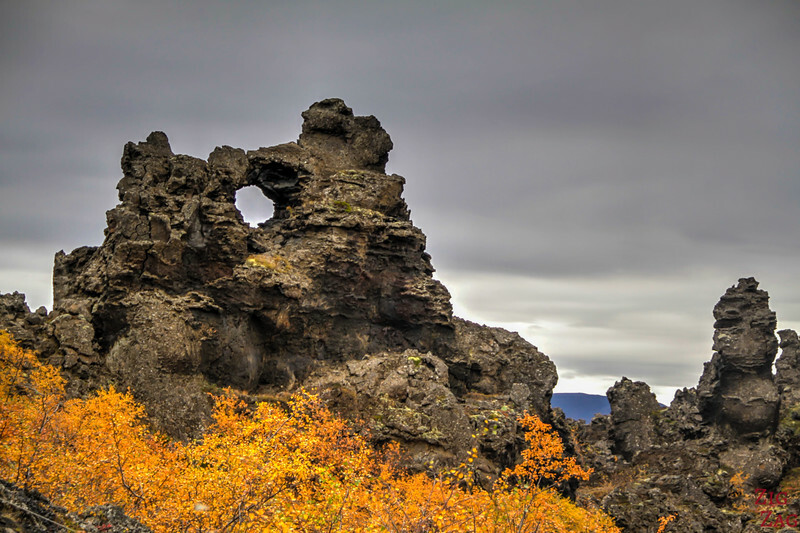 There are many lava fields in Iceland, but none of them are like Dimmuborgir. The formations are intricate and have triggered the creation of many stories with elves, trolls and other mystical creatures. This is a place where you can let you imagination free and spend hours imaginiing shapes in those rocks. The pillars are impressive. And if you travel in September, you wil enjoy like me the autumn colors of the surrounding bushes. Leirhnjukur is a geothermal area partly composed of a lava field that is still steaming 30 years after the last volcanic event. It also includes a rhyolite hill that rises 50 meters above the surrounding lava field. I think this choice will be the most contestes. 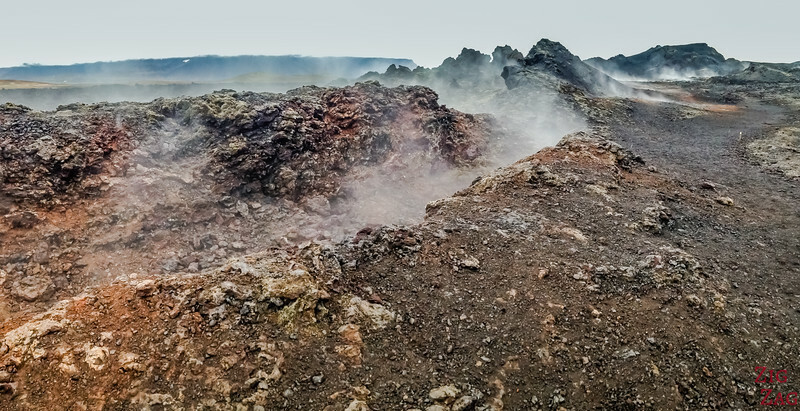 Yes this geothermal area is not the most colorful or the biggest but I really loved walking in the steaming lava, feeling all alone as if the only survivor after an apocalypse. Such a special experience! 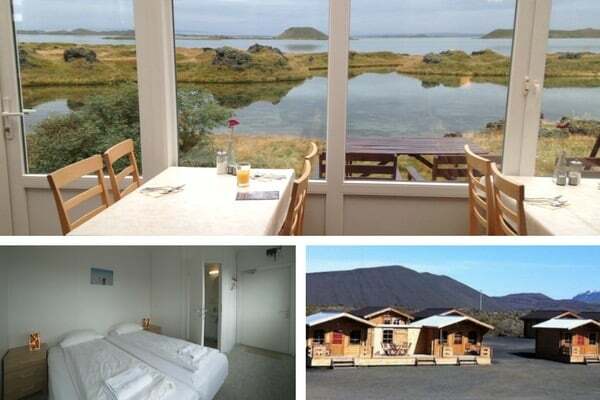 Where to stay near Lake Myvatn? I strongly recommend staying 2 or 3 days in the region to have time to really discover it. I personally stayed at the Dimmuborgir Guesthouse by Lake Myvatn. One of my favorite accommodations in Iceland. I love how close it is to the lake and all the lava rocks around. So peaceful! What do you think, will you visit all 5? Thank you William for taking the time to leave me this comment. I am very happy you found it helpful.